From earliest recorded history, a procession of emperors, alchemists and charlatans have searched in vain for the mythical elixir of life. So perhaps it should be no surprise that the hunt for a cure for ageing is the latest investment fad among the gods of our time: US technology entrepreneurs. Larry Ellison, founder of Oracle, and Peter Thiel, co-founder of PayPal and an early Facebook backer, are among those to have poured personal wealth into the quest. They were joined last year by Google, whose secretive biotech start-up, Calico, is receiving hundreds of millions of dollars from the internet group to support its bid to unlock the secrets of ageing. Some have mocked such ventures as Silicon Valley hubris. But others believe these west coast visionaries have accurately anticipated the next big breakthrough in medical science: a significant extension in healthy human lifespan. Finding ways for people to live even longer might sound like the last thing needed in a world whose ageing population increasingly looks like a social and economic time-bomb. But what if life could be extended in such a way that allowed people to remain active and economically productive for longer? This was the vision set out by Jay Olshansky, professor of public health at the University of Illinois, when he presented a paper to an audience including Sergey Brin, co-founder of Google, two years ago. Prof Olshansky cannot be sure that he influenced Google’s decision to create Calico – short for the California Life Company – but he says its push on ageing research has brought credibility to a field once associated with cranks and dreamers. Google’s potential to use its powers of data analysis to advance medical science has made big pharma take notice. In September, AbbVie, the US drugmaker, agreed an alliance with Calico that will see the pair jointly invest up to $1.5bn to develop treatments for age-related conditions. 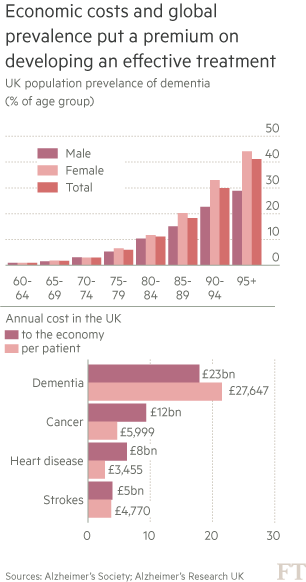 Arguably the most pressing medical challenge posed by an ageing population – and one of the biggest commercial opportunities – is Alzheimer’s disease. Worldwide incidence is projected to triple to 135m cases by 2050 but so far no drug has been found to slow the memory-erasing condition, less still cure it. While an Alzheimer’s drug would be a big prize, a treatment for ageing itself would be even bigger. 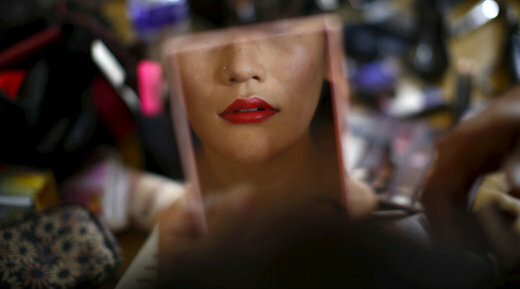 Calico is one of several start-ups exploring this frontier. Another is Human Longevity, founded by Craig Venter, the celebrated US geneticist, with the goal of “expanding a healthier, high performing, more productive lifespan”. Some of the most promising science is in the field of regenerative medicine, which involves repairing or replacing malfunctioning cells and tissues. Prof Olshanksy believes that, rather than trying to cheat death, the priority should be to “close the gap between when you die and when you get frail”. This could produce huge social and economic benefits in reduced healthcare costs and increased productivity and consumption. Others are more explicit about their desire to extend life itself. “There is nothing built into our biological system that says we can only live for a certain number of years,” says Michael Kope, chief executive of the Sens research foundation, an anti-ageing research charity. 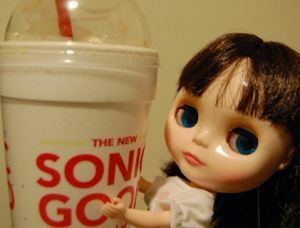 Egged on by massive food-industry marketing budgets, Americans eat a lot of sugary foods. We know the habit is quite probably wrecking our bodies, triggering high rates of overweight and diabetes. Is it also wrecking our brains? That’s the disturbing conclusion emerging in a body of research linking Alzheimer’s disease to insulin resistance—which is in turn linked to excess sweetener consumption. A blockbuster story in the Sept. 3 issue of the UK magazine The New Scientist teases out the connections. Scientists have known for a while that insulin regulates blood sugar, “giving the cue for muscles, liver and fat cells to extract sugar from the blood and either use it for energy or store it as fat,” New Scientist reports. Trouble begins when our muscle, fat, and liver cells stop responding properly to insulin—that is, they stop taking in glucose. This condition, known as insulin resistance and also pre-diabetes, causes the pancreas to produce excess amounts of insulin even as excess glucose builds up in the blood. Type 2 diabetes, in essence, is the chronic condition of excess blood glucose—its symptoms include frequent bladder, kidney, and skin infections, fatigue, excess hunger, and erectile dysfunction. Here in the US, Type 2 diabetes rates have tripled since 1980, New Scientist reports. So when people develop insulin resistance, New Scientist reports, insulin spikes “begin to overwhelm the brain, which can’t constantly be on high alert,” And then bad things happen: “Either alongside the other changes associated with type 2 diabetes, or separately, the brain may then begin to turn down its insulin signalling, impairing your ability to think and form memories before leading to permanent neural damage”—and eventually, Alzheimer’s. Areas associated with memory were studded with bright pink plaques, like rocks in a climbing wall, while many neurons, full to bursting point with a toxic protein, were collapsing and crumbling. As they disintegrated, they lost their shape and their connections with other neurons, teetering on the brink of death. For a paper published this year, Rutgers researchers got a similar result on rabbits with induced diabetes. In the US alone, 19 million people have now been diagnosed with the condition, while a further 79 million are considered “prediabetic”, showing some of the early signs of insulin resistance. If Alzheimer’s and type 2 diabetes do share a similar mechanism, levels of dementia may follow a similar trajectory as these people age. Yet another reason to load up on fruit and veggies—and work to wrest federal farm policy (which encourages the production of cheap sweeteners and fats)—from the grip of agribusiness. Coffee turns out to be good for your health...as long as you drop all the bad habits that go with it. Older adults who drink coffee have a lower risk of death by about 10 percent, according to a large observational study of over 400,000 people published in The New England Journal of Medicine. The study, which followed participants aged 50 to 71 during a 14-year window, examined common causes of death, including heart and respiratory disease, stroke, injuries and accidents, diabetes, and infections. For each life-ending ailment, coffee drinking correlated with lower risk of death in both men and women, with cancer being the only condition that showed no correlation in women and a slight increase in risk of death for men who are heavy coffee drinkers. However, while it would be easy to draw the conclusion that drinking coffee helps you live longer, the raw data from the study actually shows coffee drinkers die younger. Why? Because a number of bad habits and detriments to longevity are associated with coffee drinking, likely negating any benefits from coffee itself. The study was conducted by researchers at the National Cancer Institute and funded by the NIH and AARP as part of a diet and health study in older Americans (unfortunately, the full article is behind a paywall, but you can access the abstract here). The data were collected via a baseline questionnaire that gauged demographic and lifestyle characteristics along with diet, then monitored until they died or the study ended. When the data were first analyzed, coffee consumption was associated with an increase in the mortality of both men and women. To arrive at the result that coffee drinking may lower the risk of death, the researchers accounted for particularly damaging vices that coffee drinkers are more prone to engage in, such as smoking. It was only after accounting for the statistical contribution that smoking adds to increasing the rate of mortality did they arrive at the result that coffee drinkers have increased longevity. As compared with persons who did not drink coffee, coffee drinkers were more likely to smoke cigarettes and consume more than three alcoholic drinks per day, and they consumed more red meat. Coffee drinkers also tended to have a lower level of education; were less likely to engage in vigorous physical activity; and reported lower levels of consumption of fruits, vegetables, and white meat. With over 170 million Americans drinking coffee and over 1 billion coffee drinkers worldwide (coffee is the second largest commodity in the world, after all), the effects of coffee on health have been researched and disputed for a long time. Previous studies have shown that coffee has multiple benefits that can fight depression, prevent diabetes, protect against liver fibrosis, and even help fight cancer, but the scope of this most recent study helps to take a much broader view of its benefits, even taking into account the known problems with observational studies. Although this study shifts the tug-of-war between the health benefits and risks of coffee back toward the healthy side, the particularly damning observation that the health benefits of coffee are negated by a slew of poor lifestyle choices is a lesson for both coffee and non-coffee drinkers alike. 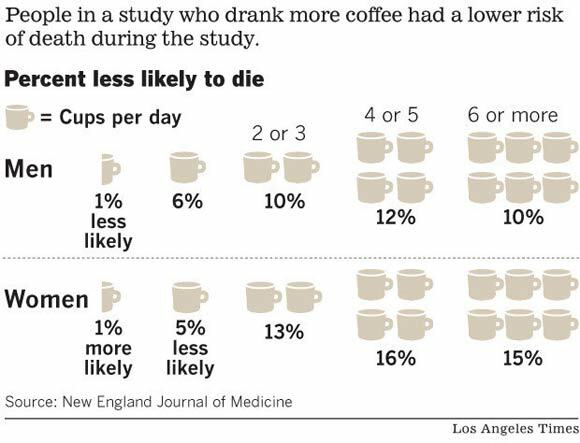 But ultimately the issue of this study is, if coffee is preventative medicine, drink it up. If it’s poison, everyone should avoid it. Simple, right? Well, not exactly. 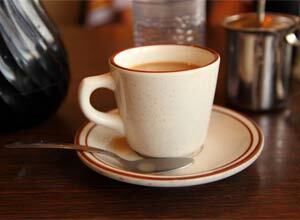 The question of whether coffee is good or bad for you is inherently a complex one. The process of roasting coffee produces over 1,000 compounds — some of which are antioxidants, while about 19 are known rodent carcinogens. These compounds create the taste and aromatic richness associated with different roasts. But the fact remains that the vast majority of these compounds have not been tested individually for their health effects and likely won’t be for a long time to come. Furthermore, the study suffers from another longstanding problem from large-scale statistical analyses, which the authors admitted: correlation does not mean causation. In other words, it is impossible to tell whether coffee itself directly contributed to extending the lifetimes of drinkers or if coffee drinking is part of a lifestyle of people who tend to live longer. But coffee drinkers in general can help their longevity through some simple lifestyle changes, such as quitting smoking (in case you haven’t heard that before) and joining the 35 percent of coffee drinkers who take it black, which eliminates the milk and sugar both of which are detrimental if you’re drinking 4-5 cups a day. This study illustrates just how tricky it is to fish out all the lifestyle factors that impact health. But in the end, one thing is clear: coffee’s reputation isn’t as black as previously labeled. The DEA is enabling—even encouraging—a generation of opiate addicts, while the FDA tries to quash safe and helpful supplements like DHEA. Goodness, the legal drug-makers have been busy! This week the Associated Press revealed that in 2010, US pharmacies dispensed the equivalent of 69 tons of pure oxycodone (used as ingredient in OxyContin, Percocet, and Percodan) and 42 tons of pure hydrocodone (used in Vicodin, Norco, and Lortab). That’s enough to give forty 5-milligram Percocets and twenty-four 5-milligram Vicodins to every single person in the United States. The production and sale of both drugs has increased tremendously over the past decade; in some locations, sales have increased by 1,500 percent. Distribution is particularly high in Appalachia, the Midwest—particularly suburbia—and the Southwest. Why the increase? Our poor diets and inactive lifestyles increase inflammation and pain. Older people are especially vulnerable in this regard. And doctors are increasingly willing to treat pain with drugs. Sales are also being driven by addiction, as users become physically dependent on painkillers and begin “doctor shopping” to keep the prescriptions coming. As with all opiates, oxycodone and hydrocodone bind to opiate receptors in the brain, blocking not only pain signals but any negative emotions like stress or anxiety. The euphoria associated with early use fades relatively quickly as tolerance builds. The pain-managing efficacy will also be reduced as tolerance builds—which is why these drugs should not be used for long-term or chronic pain. If users take the drug for longer than prescribed, or in higher doses, it is likely that they will become addicted. Addicts die from drug overdoses at a much higher rate than the rest of the population. Opioid pain relievers like oxycodone and hydrocodone caused 14,800 overdose deaths in 2008. Addiction is also responsible for the alarming rise in pharmacy robberies nationwide. The epidemic is not likely to abate soon. 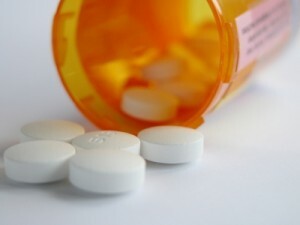 The explosion of pain management clinics in Florida, dubbed “pill mills,” prompted the state legislature to close a loophole that had allowed physicians to fill oxycodone prescriptions on the spot. Authorities say a half-billion doses of the drug and its generic equivalents were distributed in the state during 2009 alone. An unknown number wound up in the hands of “patients” who had come from out of state to have prescriptions filled by multiple pill mills, before driving home to resell the pills on the black market. The DEA is the lone federal agency with the power to decide how much of the drug gets made and put out there; it alone has had all the responsibility to do something about this problem. The way I did it for seventeen years, which was basically the way it had always been done even before the DEA was the DEA, is that when a significant diversion problem occurred, the quota increase requests would come under greater scrutiny. With Oxy, there has been a significant diversion problem since the late 1990s, so the requests should have come under greater scrutiny. That apparently didn’t happen, Haislip says. Instead, the DEA has rubber-stamped Big Pharma’s requests to increase oxycodone production. And why is that? Political influence, plain and simple. Then there’s the revolving door between the Office of Diversion Control and drug manufacturers or consulting firms that work with both industry and DEA. People working in the Office of Diversion Control know they might get lucrative work with drug companies upon retirement, and this constitutes a huge conflict of interest that prevents DEA officials from doing their duty. They certainly aren’t going to offer an opinion or do something that’s going to cut off their future prospects. Contrast the “hands-off” approach dealing with incredibly addictive narcotics with the aggressive disapproval of perfectly safe supplements like DHEA. DHEA, which is short for dehydroepiandrosterone, is a natural hormone produced by the adrenal glands, the gonads, and the brain. DHEA is the most abundant circulating steroid hormone in humans and is sometimes referred to as the mother hormone since other hormones can be made from it. In its supplement form, DHEA is used for slowing or reversing aging, improving thinking skills in older people, slowing the progress of Alzheimer’s disease, weight loss, decreasing the symptoms of menopause, and boosting the immune system. As we reported last October, DHEA supplementation also helps create improvements in muscle strength and bone mineral density with a reduction in body fat mass. And there is substantial support for its effectiveness in fighting adrenal insufficiency, hypopituitarism, general osteoporosis, systemic lupus, depression, schizophrenia, and balancing the overproduction of cortisol produced by excessive stress. Too much cortisol ages us rapidly; a little extra DHEA can make all the difference. There are a number of different forms of DHEA. 5-DHEA is the form most commonly sold on the market and used for aging, depression, obesity, cardiovascular risk, and adrenal insufficiency. However, it can result in an increased production of male hormones, which may be positive or negative depending on various factors. For example, some aging males convert extra testosterone to estrogen, a process called aromatization, and too much in women can cause unwanted hair growth. For men with prostate troubles, 1-DHEA might be a better choice (no estrogenicity and decreased androgenicity), while 19Nor-DHEA might be better for women (little estrogenicity and anti-androgenic metabolites). But these little-known forms of DHEA are especially vulnerable to being lumped together with dangerous drugs and banned—simply because they are not well known. DHEA has had a fifteen-year record of complete safety. Despite this, FDA and certain members of Congress keep trying to regulate it as a controlled substance, specifically as an anabolic steroid, even when used in dietary supplements. Currently DHEA could be classified as an illegal anabolic steroid if the DEA were to present evidence that it meets all eight requirements under the Anabolic Steroids/Controlled Substances law. As the DEA has not yet put DHEA on the list, they clearly either don’t think it fits or hesitate for other reasons. Legislation was introduced a few years ago to add DHEA to the DEA’s controlled substances list, even though DEA already had the power to put it on the list if they met the burden of proof. No deaths from DHEA. No addictions. No shameful deals between the manufacturer and federal agencies. No organized crime because of DHEA in America’s heartland. And yet DHEA is under attack, while big Pharma keeps churning out dangerous opiates by the ton.